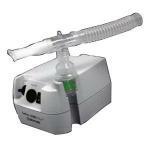 Pulmomate Compressor/nebulizer. Unbeatable Combination Of Quality & Value. Complete With Impressive Standard Features Including Custom-Built Metal Head For Durability And Three-Prong Plug For Low Voltage Protection. 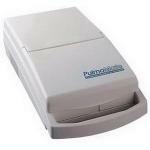 Micro-Mist Nebulizer.